The newly approved International Standard for Occupational Health and Safety ISO 45001 is now available! Independent certification to this standard proves an organisation’s commitment to safety management in their workplace. The new standard ISO 45001 replaces the previously well known OHSAS 18001. Chris Mee Group can assist and advise our clients in setting up systems in keeping with this new standard and in achieving this much anticipated new certification. ISO 45001 certification is now internationally recognised. This certification benefits any company in its efforts to be seen as a leader in Safety management in its sector AND to compete commercially in the market place. Certification requires commitment from an organisation’s leadership team. ISO 45001 does draw from the previously used OHSAS 18001, the former benchmark for OH&S. It is however a new and distinct standard. Organizations that already operate to OHSAS 18001 will need to revise their current work practices and processes in order to align with this new ISO standard. These changes ensure ISO 45001 is viewed within the perspective of running a sound, sustainable and commercially successful organization. Although ISO 45001 and OHSAS 18001 differ in their approach, a management system established in accordance with OHSAS 18001 is a solid platform for migrating to ISO 45001. Complete an analysis of interested parties (i.e. the stakeholders that can affect your organization’s activities) as well as internal and external factors that might impact your organization’s business. Then ask how these risks can be controlled through the management system. Establish your processes, your risk evaluation/assessment and, most importantly, to set the key performance indicators (KPIs) for the processes. ISO 45001 shares the same high-level structure (HLS), core text and terms and definitions with other recently revised ISO management system standards such as ISO 9001:2015 (quality management) and ISO 14001:2015 (environmental management). ISO45001 may be challenging to understand and map out for a non-systems person. The support of a competent health & safety consultant would be an advantage. The benefits for the employees are clear; they see improved workplace conditions and lessen their risk for injury or illness. With limited absenteeism and reduced workplace incidents, employers see commercial advantages as well. By fostering a health a safety culture within the workplace, employers can expect an increase in productivity and a reduced cost of insurance premiums. Furthermore, this can better their reputation and advance a positive staff morale overall. With increased involvement of leadership teams in ISO 45001:2018 we expect increased benefits to accrue from more integrated risk controls and more focus on commercial opportunities in the future. Those adopting the system are also better equipped to meet legal and regulatory requirements. ISO 45001 facilitates continual improvement leading to improved Employee morale, reducing insurance costs, etc. 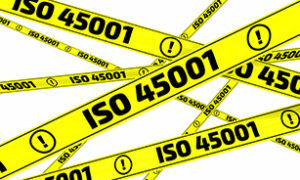 When implemented correctly ISO 45001 provides the company with an effective tool that will show a return on investment. With continued increases in insurance premiums, increased injury claims and spiraling health care costs the question companies need to ask themselves is can they afford not to implement ISO 45001? Contact us NOW to discover how you can progress your successful ISO 45001 journey.